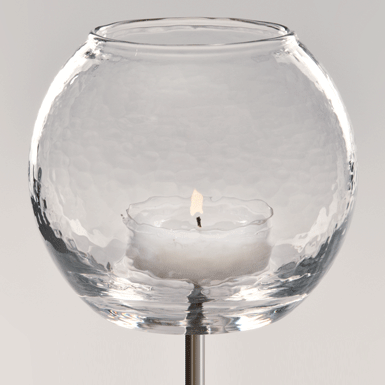 A tea light holder with a stainless screw-on steel stick (1 metre). Can be stuck into the ground in the garden. With the typical Glasi glass structure.